Cache is not hidden at posted coordinates. A special, fancy handmade prize (crafted by Mous) goes to FTF! Crosswords are one of my favorite types of puzzles out there. Though I've been doing crosswords most of my life, I've never actually tried to construct one. I’ve hidden a few puzzle caches, and I thought this time around, I might finally give constructing a shot and integrate it into my latest hide. 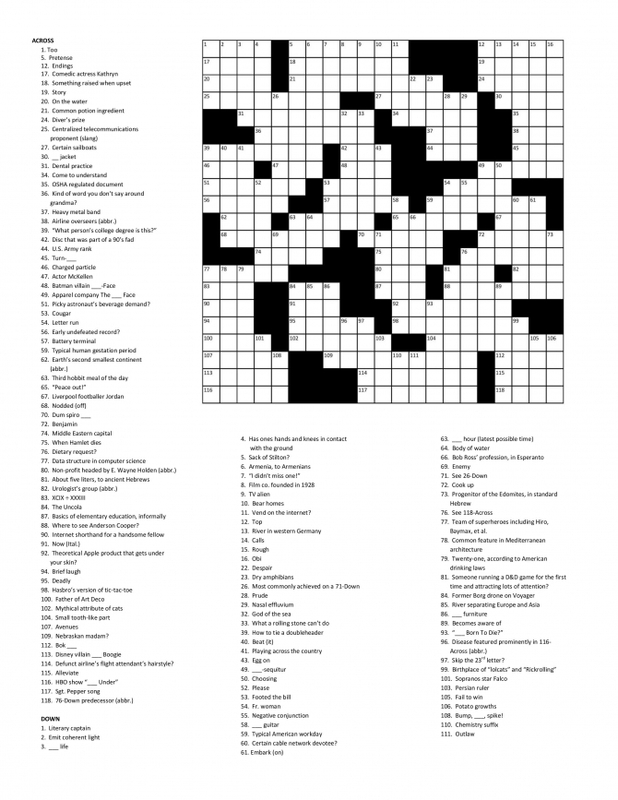 I have a specific weakness for the Sunday puzzle in a certain nationally distributed newspaper, so I designed my crossword with that in mind. Whew – crossword construction is tough! It took a lot longer to fit everything together than I thought it would, and there are more awkward spots than I would like, but overall, I’m proud of the end result. Enjoy! Congrats to thebyrdcache for FTF!